YUKATA is traditional household clothes that is most familiar with Japanese ordinary people. 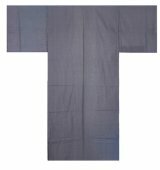 Our YUKATA is lightweight, strong and machine washable type, so you can enjoy our YUKATA long time. It's a best qualified item as after-bath robe. Please enjoy relaxing time with our YUKATA.